Because of Perlite´s outstanding insulating characteristics and lightweight, it is widely used as a loose-fill insulation in masonry construction. In this application, free-flowing Perlite loose-fill masonry insulation is poured into the cavities of concrete block where it completely fills all cores, crevices, mortar areas and air holes. In addition to providing thermal insulation, Perlite is also ideal for insulating low temperature and cryogenic vessels. When Perlite is used as an aggregate in concrete, lightweight, fire resistance, insulating concrete is produced that is ideal for roof decks and other application. Perlite can also be used as an aggregate with Portland cement and gypsum for exterior applications and for the fire protection of beams and columns. Other construction applications include under floor insulation, chimney linings, paint texturing, gypsum boards, ceiling tiles and roof insulation boards. Also Perlite high heat resistant property gives advantage of when Perlite is used in manufacture refractory bricks and mortars. Lightweight insulating aggregate for sustainable building application. 1- 100% natural mineral that lasts for a lifetime. 2- Chemically inert , Neutral PH. 3- Environmentally friendly , Asbestos free. 4- Ultra a lightweight aggregate. 5- Gives excellent insulating properties at temperature varying from very Low (-240 °C) to very high (1260 °C). 6- Substantial saving energy consumption and construction costs. 7- Superior thermal and acoustic insulation. 8- Excellent sound absorbing . 9- Fire resistance up to 4 hours. Non combustible. 1- Lightweight insulating concrete for Roof decks and floor fill. 2- Lightweight thermal and acoustic insulating plaster with gypsum/cement. 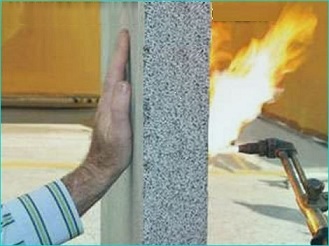 3- Fire resistance cement plaster up to 4 hours. 4- Loose fill insulation for wall/floor. 5- Manufacture of refractory mortars and bricks. 6- Perlite / silicate composites for high temperature insulation and formed shapes. 7- Insulating for low temperatures and cryogenic gases storage. Egyperl perlite loose-fill insulation is an inert volcano rock expanded by a special heat process. The resulting granular product is light weight with countless tiny air cells, which account for its excellent thermal performance. 3-	None – Combustible with a fusion point of 1260-1382 °C. -	perlite loose-fill insulation is free flowing and will uniformly and completely fill all cores and voids in masonry wall units. -	It is none setting and supports its own weight in masonry wall cavities and masonry block cores. -	It is rot , vermin and termite resistant. -	It is easily installed without special training or equipment. -	Sound reduction – perlite loose-fill insulation has the ability to fill voids , and ear holes thus enabling it to reduce airborne sound transmission through walls. 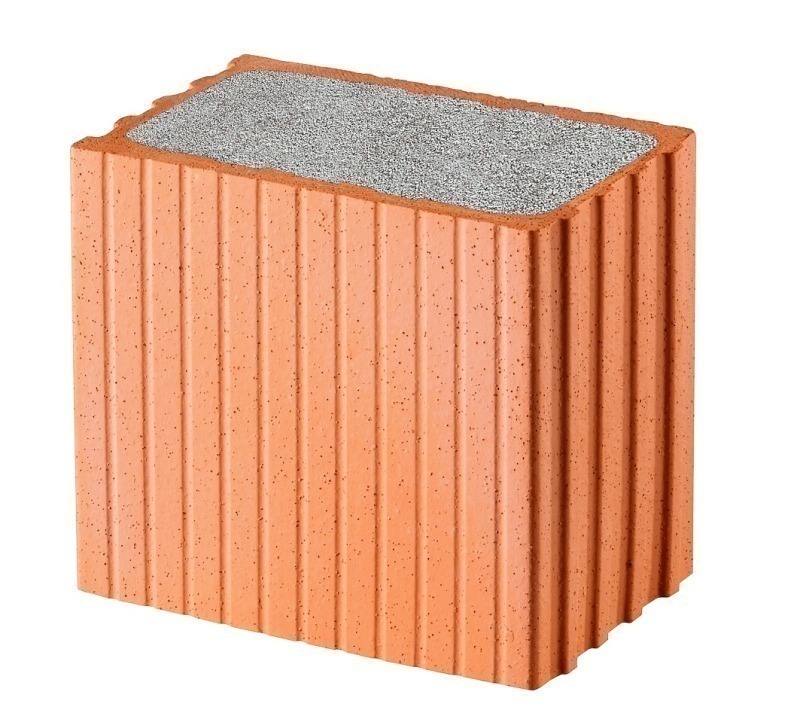 -	100% improved in fire rating – independent studies show that the fire rating of concrete block is improved from 2 hours to 4 hours when the cores are filled loose-fill insulation. 2-	In the cavity between all exterior (and interior) masonry walls. 3-	Between exterior masonry walls and interior furring. B)	The insulation shall be poured directly (or via a hopper) in the top of the wall at any convenient interval (not in excess of 6m). C)	All holes and openings in the wall through which insulation can escape shall be permanently sealed or caulked prior to installation of the insulation is protected from inclement weather. Insulating values of a perlite concrete roof deck depends on the density of the concrete mix that is prepared. Typical U values range from (1.19 W/m².k) for a (50 mm)(350kg/m³) to (0.6 W/ m².k) for a (100 mm) thick roof deck. There are a number of different perlite concrete roof deck designs that offer fire ratings from 1 hour to 3 hours. A typical 3hours rated roof deck design consists (50 mm) minimum thickness of perlite concrete. Perlite Insulating concrete is light in weight, ranging from about (350-650 kg/m³) depending on the desired density and insulating value. Because of its ultra lightweight, there can be economies in the design of the structure. Standing water on roof deck is destructive to roofing membranes. Perlite concrete may be easily sloped to drain to internal drains or to the roof edge. Perlite concrete may be provided by transit mix or it may be mixed on-site and pumped or lifted by crane to the roof level . Once placed, it is simply screeded to the desired thickness and slope. Perlite concrete roof decks offer several important benefits in roofing. As perlite concrete roof decks are seamless, They provide a monolithic base for roofing that is smooth and even. In addition, roofing membranes may be adhered directly to the perlite concrete using one of several different design fasteners. Roofing can be applied as soon as the perlite insulating concrete can carry construction traffic and is sufficiently dry to develop adhesion with hot asphalt or pitch. Under normal conditions, this is about three days. Time will vary depending on weather . 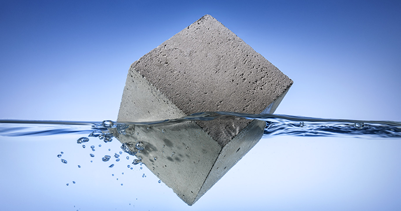 Perlite concrete aggregate combined with Portland cement, air entraining , and water produces an ultra lightweight concrete. That is used for insulating roof decks, and for variety of permanent insulating applications. An air entraining agent is used to improve the workability and to control water content and insulation value. 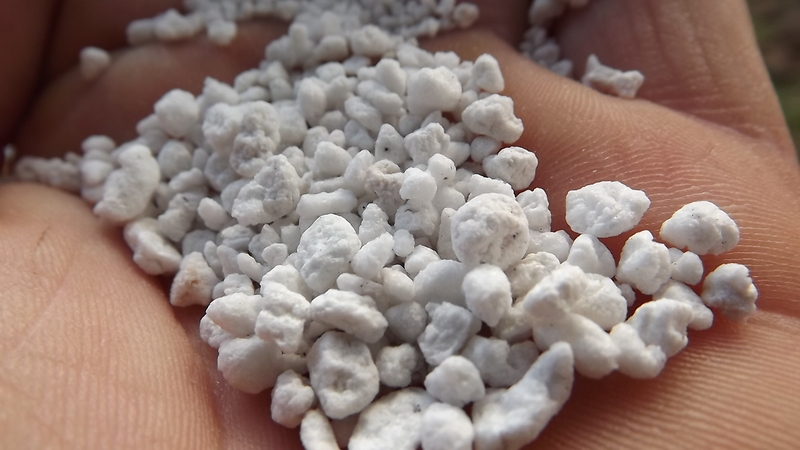 Ultra lightweight concrete perlite can be made with dry density from 350 kg/m³ to 650 kg/m³. Mix designs A to D (Table 1) are specifically for insulation purposes and should not be used for load bearing structures. Physical properties of perlite concrete vary according to mix design. The lower the density the higher the insulation value. Egyperl Perlite / sand lightweight concrete ( for floor fills). Perlite / sand concrete aggregate combined with Portland cement, air entraining agent and water produces a lightweight concrete. That is suitable for use over structural concrete and various types of light structural forms such as corrugated steel or cellular steel floor units and plywood sub floors. The compressive strength of perlite /sand concrete are adequate for its use as a base for any of a wide variety of floor materials such as ceramic tile, hardwood, carpeting. Air entraining admixtures are used in perlite / sand concrete mixtures to improve workability, reduce segregation and entrain air. Mix Designs E to I (Table3) are specifically for reduce the dead load in multi-storey Building. Physical properties of perlite / sand lightweight concrete vary according to mix design. While perlite insulating concrete is mixed in the same equipment and by similar methods as sand-gravel concrete , there are some considerations that must be given to the order of addition of materials and to the time of mixing to assure correct concrete properties and adequate yield. The following mixing information for transit mixing is presented as a guide to the manufacturer to eliminate some of the question that may arise in the field and to ensure successful construction with perlite concrete. When mixing perlite concrete on-site, in mechanical mixers, please refer to transit mixing and chose what is consistent with mechanical mixing. 1)	Determine the load of the mixer. 2)	Add to the mixer the correct amount of water for the load. 3)	Add the correct amount of air entraining agents and cement to the mixer and mix until a slurry is formed. 4)	Add the required number of perlite concrete aggregate. 5)	Do not rotate the drum during transit. 6)	Upon arriving at the job site , mix at top speed for not less than 3 no more than 5 minutes. 7)	Discharge in normal manner after checking wet density for conformance to specification range. 8)	Rotate the drum at idle speed when discharging last of load to assure complete discharge of concrete. 9)	Do not washout drum between loads. Use the same trucks . 10) When mixing perlite concrete it is generally suggested that 100 to 150 revolutions of the transit mixer drum will give good perlite concrete.If possible, the drum should be charged with water, air entraining agent and cement at the batching plant, and the perlite aggregate should be added at the job site, mixing at high speed until the desired density and consistency is reached. Care must be taken to ensure proper mixing time for the perlite insulating concrete. Using the correct amount of water as specified, the perlite concrete should have a slump of approximately 7 inches (18cm) when properly mixed and may appear too wet by normal concrete practices. However, if the mix appears too dry or stiff, the mixing time has probably been too short. Continue mixing until the desired plasticity is reached. Extra water and under mixing may reduce the yield. The first truck load of perlite concrete will usually discharge about one third of yard short since this quantity will coat the inner walls of the truck drum. However, this will not occur in subsequent loads , because the walls will be coated sufficiently. After discharging the last load, 7-10 gallons (26-38 liters) of water may be added to the revolving drum to wash out this mixture may dumped and blended with other concrete from the previous load. This will not impair the perlite concrete properties because the excess water bleeds out without loss of cement. The wet density of perlite insulating concrete as poured is important in the control of the physical properties of the dry concrete and the yield achieved. Heavier weight means greater strength and the insulating value depend on the wet density. Heavier weight means greater strength and less insulation. Therefore, the architect or engineer usually specifies the wet density of the perlite concrete with a plus or minus (48 kg/m³) range. The use of the correct amount of air entraining agent of the proper construction is of extreme importance in successful perlite concrete construction. The air entraining agent produces countless tiny air bubbles in the concrete, which reduce the density, increases the yield and contributes to the insulation vale of the dry concrete. Air entrained concrete is also more resistant to water absorption. Care should be taken in mixing perlite concrete to ensure that the proper amount of agents is used. Excess air entraining reduces the strength of concrete. An even distribution of agent is also essential to produce the desired concrete characteristics. Perlite concrete may be placed through the use of crane and bucket or by pumping. The preferred method is by pumping. A progressive cavity pump is recommended as this type pump will not place undo pressure on the perlite. In addition, A pump hose should be minimum of 3 inches in diameter . Hose kinking should be avoided. Yield is defined as the ratio between the volume wet perlite concrete as discharged from the mixer and the volume of perlite concrete aggregate used in the mix. The mix proportion included in the specifications is based on extensive field and laboratory tests and is established for 100% yield. If the correct quantities of material and mixing procedure are used, a 100% yield should result. Yield may vary however as it is effected by job site conditions including mixing time , fineness of aggregate, pumping equipment, height to be pumped, length of hose, etc. The first step necessary in making a field check for yield is to determine the wet density of the perlite concrete as previously outlined. The wet density and the weight of total ingredients for tile mix being used are then substituted in the following formula : loss of yield as checked by the wet density is less than 100%, a loss of yield is evident. A loss of yield may be attributed to a number of factors as previously noted . However, one or more of the following factors should be checked. 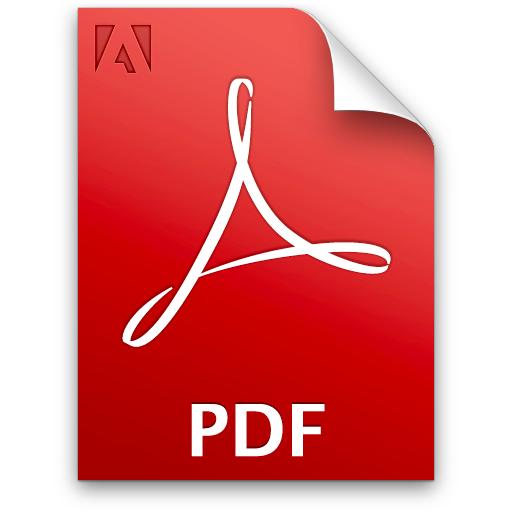 •	Air Entraining Agent – Be sure that proper type and amount is being added to each batch. •	Mixing Procedure and Time- Be certain that materials are added in the proper sequence. Under mixing will usually result in a loss of yield while over mixing can adversely affect the air entrainment. •	Water- check the amount of water being added. After one minute of mixing, properly proportioned perlite concrete often looks too dry, if extra water is added, yield can be reduced. Hard water will often offset the effect of the air entraining agent and may require adjustment of the quantity of air entraining agent. •	Mix Design Data- The proper proportion of materials for various perlite concrete mixes are show in Table 1 . The importance of properly designing and specifying the mix and the proper use of the air entraining agent cannot be overemphasized. •	Concrete roof surface to receive insulating lightweight Perlite concrete shall be thoroughly cleaned with a steel brush. •	Concrete surface shall be thoroughly wetted for at least one hour before lightweight Perlite concrete is applied. •	Insulating lightweight Perlite concrete shall be placed well compact to accommodate the required level and slopes. •	After placing insulation lightweight Perlite concrete, it shall be worked out with aluminum straight edge and steel trowels to be perfectly smooth evenly graded finish and satisfy the slope on Drawings. Perlite concrete has an adequate mixing water content so as to have sufficient water for proper curing of the concrete without additional precautions under this condition the concrete should be permitted to air dry. When Perlite concrete is placed during extreme dry weather, additional water may have to be sprinkled on the concrete for a sufficient period of time to allow hydration of the concrete. Perlite plaster consists of a blend of Egyperl construction perlite and gypsum or portland cement mixed with water for application by gun or trowel to wall or ceiling surfaces or to metal wire for structural steel membrane fireproofing. Lightweight: Weighs approximately 60% less than ordinary sand plaster, saving about one ton per cubic meter. Insulating : 4 times more resistant to heat transmission than sand plaster , saving in heating and air conditioning costs. Fire Retardant: Non combustible and non toxic provides up to 4 hour fire protection. Noise Reduction: Reduces sound transmission between partitions. Durable: The life span of perlite plaster is the same of the building on which it is applied. 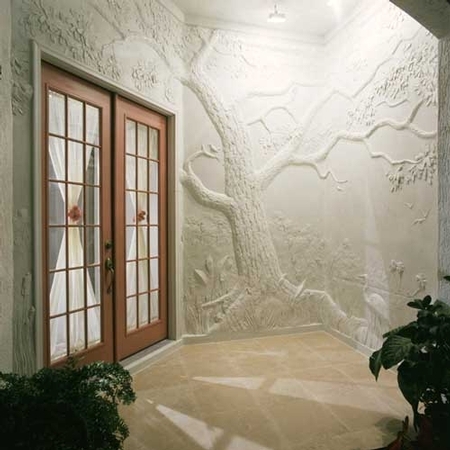 Egyperl perlite - portland cement based plaster can be used on new or remodel work as a base coat for stucco finishes or masonry veneer. 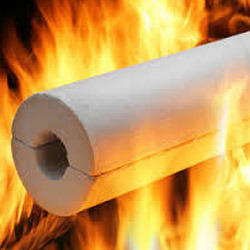 Egyperl perlite - portland cement plasters are approved for as much as 4 hour fire protection of structural steel columns. They are ideal for weather exposed structural steel elements requiring fire protection . Where desirable all plasters containing Portland cement must be applied over metal or wire lath or other suitable surfaces prepared with an approved liquid bonding agent . Plastering on metal or wire lath is typically three coat work but some building codes allow two coat plastering under certain conditions . With the addition of polypropylene or acrylic fiber reinforcement, superior crack resistance is achieved. In addition, fiberglass reinforced perlite cement plaster also can be used for fire protecting structural steel columns or for any normal application where conventional cement plasters might be used. Mix designs J to L (Table 5) are specifically for lightweight insulating cement plaster. •	The countless air cells in perlite aggregate make it an excellent insulator. Perlite plasters offers up to 4-6 times more resistance to heat transmission than ordinary sand plaster. 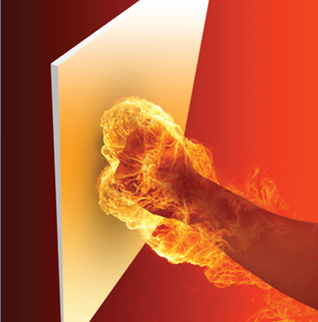 •	When exposed to fire perlite plaster release chemically combined water in the form of vapor, Which maintains the plaster temperature at about 100°C, until all of the water has been driven off as steam. •	Perlite plaster has low linear thermal expansion compared with sand plaster at high temperatures, which greatly reduces the number and size of cracks, which permit heat and flame to penetrate through the plaster barrier. Typical mix design(M) is suggested in table (7). The mix is considered as guide to the application, but minor adjustment in proportions may be required depending upon specific brands of materials and spray guns used. Adequate quality control on the job can be assured by reinforcing density and strength requirements. In batch mixing, all required water and air entraining agent are placed in the mixer and cement is added and mixed for approximately 10 minutes until the slurry is uniform. Perlite aggregate and chopped fiber is added as the mixer is rotated, Mixing should continue until the mix is thoroughly blended but should not exceed 5 minutes . The batch should not be over mixed. Fiber reinforced perlite cement plaster may be machine or hand applied .On vertical applications, plastering should consist of separate scratch and brown coats. The brown coat may be applied as soon as the scratch coat has set sufficiently hard to support subsequent coats. For horizontal applications (panel construction), plaster may be poured in one coat and screeded level. When plaster begins to set it should be floated to provide compaction. Brown coats should be flat and even but be sufficiently rough to receive finishes. 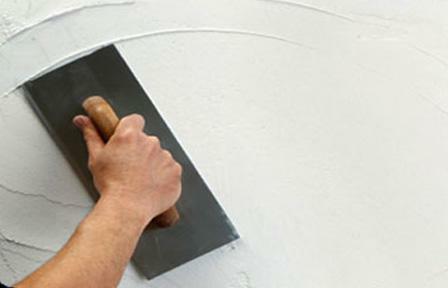 To assure proper hydration of the cement, the base coat plaster should be kept damp for at least 48 hours. The base coat has been allowed to dry at least 5 days. finish materials may be applied following perlite cement plaster base coats accept a wide variety of finishes such as cementitious color and texture coats, stucco, polymerized cementitious coatings, tile or masonry veneer. Perlite plaster aggregate mixed with gypsum and other components provides an ideal plaster for walls and ceiling and for membrane fire proofing to the underside of floor assemblies, or structural steel members. Mix design (n) table (8) is specifically for base coat (fill) perlite gypsum plaster. Mix design (O) table (10) is specifically for finish coat (Morter) perlite gypsum plaster. No. Perlite Kg Lime stone kg Gypsum Kg Hydrated Lime kg Walocel(MKX) Kg Sodium citrate Kg Starch ether kg Water Liter Elotex Mp kg. More advantages for perlite gypsum plaster. -	perlite gypsum plaster doesn't shrink or result in filamentous cracks after drying. Without curing. -	it is suitable for large surface adjustments like the ceiling, because it is not bonding appears when there is a different in application time. -	It saves time and worker cost of the splashing stage which is before the lining stage. (It contains adhesive materials). -	All phases can be applied at same time then to be left for drying. 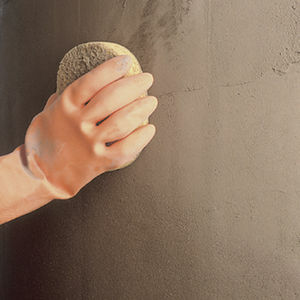 -	It is perfect in straightening the uneven surfaces and surfaces with traditional cement. -	In batch mixing, all required water is placed in a clean vessel. -	Add all components of perlite gypsum plaster mixture gradually to the required water by spraying it (not the opposite) then leave it 2 minutes until it become fully absorbed. -	Blend the mixture manure manually or mechanically until becomes desired consistency. 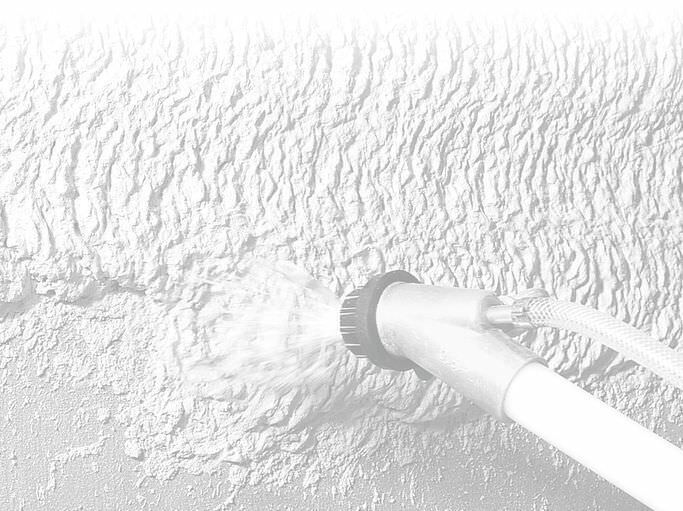 -	Walls and ceilings must be sprayed with the suitable quantity of water. -	Base coat it done directly by applying perlite gypsum (fill)with desired thickness starts form 0.5 Cm-20 Cm. -	Leave the surface after straightening to reach the almost hardness. After the base coat has been allowed to dry at least 1 hour, perlite-gypsum finish coat (Morter) is applied on it for smoothing. -	Perlite-gypsum plaster accept a wide variety of finishes such as gypsum paste for more smoothness (Marble look), Texture coats, stucco, Tile or masonry veneer. Expanded perlite granules can be bonded to from rigid shapes for a very wide range of applications. The most suitable binder for many purposes is a liquid sodium silicate similar to traditional "Water glass". The liquid sodium silicates are solutions of water soluble glasses manufactured from varied proportion of Na2Co3 and SiO2, Providing a wide range of chemical and physical properties. Sodium silicates are widely used as high temperature adhesives and binders due to the following properties. Silicate-bonded perlite makes an insulation material which is completely non-flammable, the refractory nature of the bond being a major advantage. Potassium silicate is sometimes preferred for applications where heat insulation and fire resistance are the main objectives. This material has a slightly higher softening point than its sodium counterpart. 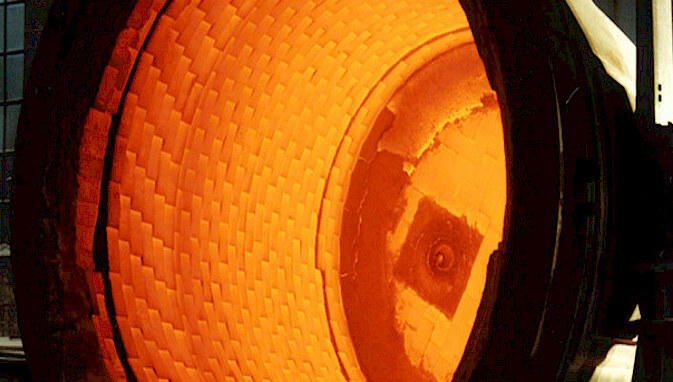 Sodium silicate is widely used as a binder for molding sand in foundries. The technology for perlite/sodium silicate composite manufacture is based largely on this foundry industry experience. A wide range of formulations of perlite, sodium silicate solution and setting agent can be used, together with additives to control the absorbency of the perlite and the speed of setting of mix. General guidelines are given as a starting point. The choice of grade of sodium silicate solution depends on the application and setting process being used. Generally, a higher silicate to alkali ratio gives faster setting while lower ratios and higher solids contents give greater strength in the finished product. *Amount of silicate needed will depend on the particle size, density and absorbency of the perlite used. Because of its unique properties, perlite insulation has found wide acceptance in the insulating of cryogenic and low temperature storage tanks, in shipping containers, cold boxes, test chambers and in food processing. Storage temperatures ( - 100 oC ) and below are considered cryogenic. Storage temperatures ( - 100oC ) and above to ( + 4oC ) are considered low temperature. Super cold or extremely cold cryogenic fluids such as hydrogen and helium are normally stored in spherical, double walled vessels with evacuated annular spaces using evacuated perlite. Perlite insulation suitable for none evacuated cryogenic or low temperature use exhibits low Thermal conductivity throughout a range of densities, however, the normal recommended density range is ( 48 to 72 kg/m3 ). In addition to its excellent thermal properties, perlite insulation is relatively low in cost, easy to handle and install, non-combustible and meets fire regulations, lowers insurance rates, does not shrink, warp or slump. Because it is an inorganic material, it is rot and vermin proof. There are many different design concepts for low temperature and cryogenic storage vessels. However, most are of double wall construction with the annulus filled with expanded perlite. Packaged or bulk perlite may be used to insulate smaller vessels by pouring or blowing the insulate in place. Portable perlite expansion plants are usually used to insulate storage tanks, cold boxes, ships, and other double wall vessels and pipes. In these applications' perlite ore is expanded on-site and the expanded perlite insulation is conveyed pneumatically into the annulus. --------------------------------------------------- * Thermal conductivity varies with temperature, density pressure, and conductivity of the gas which fills the annulus or insulation space. Expanded perlite is used for a wide variety of insulating applications ranging from cryogenic vessels requiring "super" insulation to low temperature and applications. For cryogenic applications of (-101°C) and below requiring "super" insulation, evacuated perlite provides a superior insulation with thermal conductivity up to 40 times less than (0.029 W/m.K) depending on vacuum and temperature. Usual applications for evacuated perlite insulation are in double walled helium and hydrogen storage spheres. It may also be used for storage of oxygen, NITROGEN AND LNG when especially low thermal conductivities are desired. In addition to large field erected storage tanks, evacuated perlite is used to insulate smaller shop fabricated vessels designed for the storage of many of the cryogenic gases. Perlite insulation suitable for evacuated cryogenic service exhibits low thermal effected of interstitial gas pressure and temperature on thermal conductivity of (139 Kg/m³) expanded, evacuated perlite insulation. Conductivity throughout a range of temperatures, pressures and densities. The normal recommended density range is (128 to 152 Kg/m³). The accompanying graph provides data on thermal conductivity for expanded perlite with a density of (139 kg/m³) at mean temperatures from (-18°C) to (-107°C). Cryogenic temperatures are generally considered to be below (-101°C). Thermal conductivity of evacuated perlite is many times lower than that of none evacuated perlite insulation. For example, at a mean temperature of (-82°C), normal unevacuated cryogenic perlite at (64 Kg/m³) would have a thermal conductivity about 22 times as great as evacuated perlite at (139 Kg/m³) and interstitial pressure of 10 microns. ** thermal conductivity depends on temperature, density and sieve analysis of expanded perlite and the interstitial pressure. In addition to excellent thermal properties, perlite insulation is relatively low in cost, easy to handle and install, non-combustible and meets fire regulations , reduces insurance rates and does not shrink, swell, warp or slump. Perlite for evacuated service must be dry. The normal moisture limit is 0.1 percent by weight. Moisture in the perlite greatly increases the pump down time necessary to achieve the low vacuum required. As a result Perlite must be fresh and packaged in moisture-proof bags sealed tank trucks. -	Typical Evacuated Perlite Insulation Field insulation of perlite "super" insulation for large evacuated cryogenic vessels requires that a vacuum be maintained in the annular space of the vessel being insulated. Expanded perlite is pressurized with nitrogen in tank truck and drawn into the annular space by a combination of vacuum and pressure. For small vessels, Where vacuum transfer is not practical, direct conveying of dry perlite by means other than vacuum, under strictly controlled conditions, produces satisfactory results. Portable perlite expansion plants complete eith dust control equipment and an intermediate two-compartment tank are used to expand the perlite on-site and to fill the annular space with evacuated cryogenic grade perlite insulation in a dust-free, moisture-free manner.